You've got a really nice sound in that recording. The snicker at the end cracked me up. I still occasionally listen to your cover of Crush, by the way. Such a cool voice. Thanks a lot! Crush is always one of my all time favorite songs to cover, something about it.....perfection. I even agree that the sound came out solid on the recording. I wish I had more time to devote to it overall! Thanks again for the kind words and taking a listen! My buddy just got featured on alllocalradio.com as their artist of the week, so I figured i'd do him a solid and post some of his music here, so if anyone digs it. Hey! My band Crushed Veneer just released our first ever track. I'd love to know what you guys think. Inspired by: Gaslight (obviously), Beach Slang, Japandroids, The Menzingers. 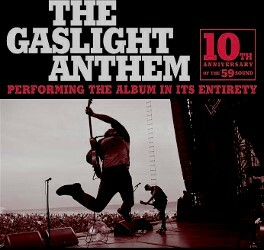 Anything citing (in addition to that reference) Gaslight and Japandroids as inspiration warrants a listen. That intro hook in Wild Nights is crazy good. That's some Here comes my man-outro-level stuff. It's the kinda thing that grabs your attention. Verses are great and the "break down" or what have you around the 1:50 mark is a fantastic touch. I'm not TOO sold on the choruses, I would have preferred something slightly bigger there because right now I feel like it sort of drowns a bit next to the verses. Still, great song, I'll add this to my favorites! Haha this is a bit late on my part, but it's great stuff. Not necessarily anything I'll come back to but that just comes down to my personal preference. Rubble is a great song. I agree with @Harbortown it's a catchy song but you could punch up the chorus a bit somehow, especially after the bridge. Would definitely like to hear more though. Thanks guys really appreciate the feedback! Definitely agree with you on the chorus. This song is actually from an EP we have coming out in a couple of months. The other 3 songs have much bigger choruses so I'll def share it here when it's out. Thanks for taking the time to listen! Back again! Really appreciated your feedback last time so thought I would come back with the second single we just released. This one definitely has a bigger chorus than the last one although the track overall is a bit little more pop punk (not overly so though). I dig it! I like where you guys are going. Sounds good! Let me know if you ever come to Manchester and I will definitely come along. Thanks! We are actually working on arranging our first few shows outside London at the minute and one of the places will hopefully be Manchester so I'll let you know. Hello again! I really appreciated everyone's feedback before so thought I'd pop back to share my band's EP which finally came out last Friday. If you've listened to the tracks I've posted before the new songs for you on the EP are tracks 2 and 4. Would love to know what you all think. Cheers.